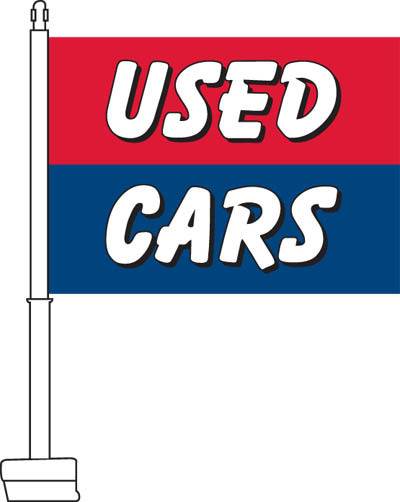 Our Used Cars Car Flags feature an upper red field printed with bold white text outlined in black that reads "Used." 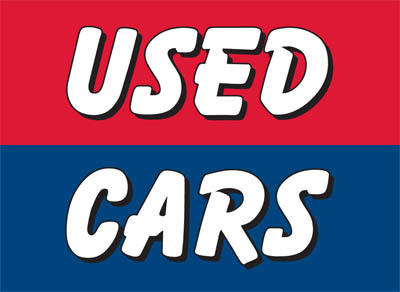 Beneath that is a blue field with bold white text outlined in black that reads "Cars." 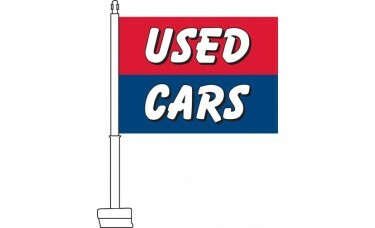 These flags are an excellent choice for used car dealerships looking to attract new business.